In a home on the border of France during WWII, a family finds a dark past and a cat named Nook. For the first time, the hardcover version of Nook is available on Kickstarter, and I’m speaking with creator/writer Caleb Thusat about the demented dreams he had that led to the creation of this haunting graphic novel! 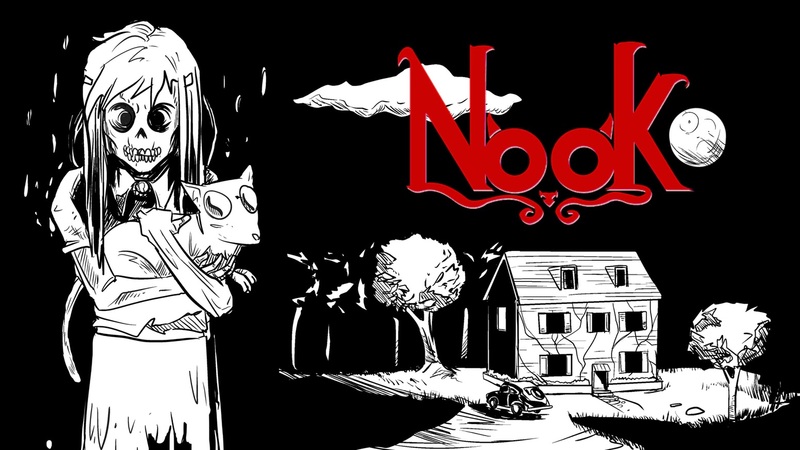 Inspired by Caleb’s dreams and the works of Guillermo del Toro, Nook follows a family fleeing from WWII German. A young girl by the name of Avery and her family move into a house on the border of France. Avery will grow to love and fear the cat she finds as she’s unwittingly involved in a deadly cycle of violence when the past of her new home is slowly revealed. 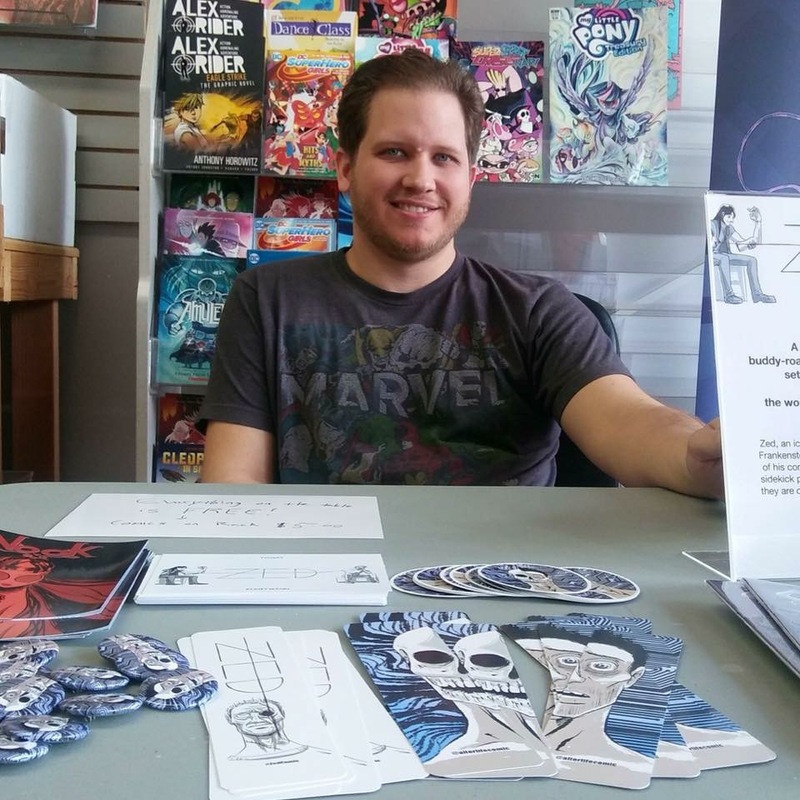 The creator and writer of Nook is Caleb Thusat, who has been featured on Kickstart the Week several times with his Kickstarter projects for Zed #1 and Alter-Life Issues 1-4. Nook is his tenth Kickstarter project. The artist and letterer is Marcelo Biott, who is known for his webcomic Infracity. Caleb is seeking $7,500 for Nook to pay the artist, print the books, and ship them to backers’ doors. The project must meet its goal by April 3, 2019 at 11:00 PM EDT. Rewards include digital ($10) and physical ($20) copies of Nook as well as bookplates ($25), enamel pins ($35), signed pin-up prints ($40) and more, which you can see on the official Kickstarter page. I spoke with Caleb Thusat about the universe of Nook in-depth below! Me: Nook takes place during WWII at a home on the border of France. What made you decide on this particular setting in time and place? Thusat: The setting came to the story for a couple of different reasons. First is my family history. My great grandparents fled Germany and moved to Ohio during WWII. Some of my family was even stuck and forced to fight. I’ve always found that part of my family history both horrifying and fascinating, so I wanted to bring it into my writing. My second reason for choosing this particular setting is that I am obsessed with WWII stories. WWII is a true setting of good versus evil. Stories from various perspectives during this war are primal tales of survival that explore the true polarity of humanity. Me: Name some of your favorite qualities about Avery and why readers will enjoy following her as the protagonist of Nook. Thusat: Avery is the embodiment of innocence. She’s clever and kind, but doesn’t quite understand the horrors that are happening around her. In the beginning, her biggest concern is the fact that she misses her home, friends and family. It’s a quality that is easy to fall in love with, and I hope her innocent perspective shines through during the first part of the book and makes you relate to her as a child. Me: What are some reasons why Avery both loves and fears the mysterious cat, Nook? Thusat: Nook is very curious. He has a certain mystical look and quality about him from the very beginning. Avery loves Nook because she sees him with innocent eyes and longs to have a friend to comfort her, but she also fears that there is something more to him. It is a fear of the unknown. Me: You mention in the Kickstarter that part of your inspiration for the story is “demented dreams”. Can you describe some of your most poignant ones that were particularly inspirational for Nook? Thusat: A few years before I wrote Nook, I had a very vivid and lucid dream about moving into an old house with my wife. This house had a very old carriage house attached to it with a small door leading to a storage area. In this dream, the realtor told us that a small girl had died there. She was locked in the nook and left to starve. For years I could never shake the memory of that dream, and other dreams spawned from it. I took those dreams, added a dash of family history and fiction, and now we have Nook. Me: Which of Guillermo del Toro's works is your favorite and how does that particular work influence the world you’ve created in Nook? Thusat: Pan’s Labyrinth and The Devil’s Backbone are the two films of his that influenced me the most with this story. Both revolve around a child living in an extremely visceral environment. Both children are confronted by something supernatural. And both are set in an important historical time period. I love how Del Toro uses the supernatural element to tell his stories. The plot usually never fully revolves around the ghost or mystical being. His stories are about the horrors of the world around those beings. Me: You also mention on Kickstarter how this book uses timely themes, like “how we are doomed to repeat the past if we cannot learn from it.” Why do you feel this theme is particularly timely in our world today? Thusat: Avery and her parents are Refugees. They are seeking safety and freedom from the oppression they foresee coming to Germany. This is a story being told again and again. Even in the U.S. we have refugees looking for the same escape. Without getting too political: I feel like our country has taken not just steps, but leaps and bounds backward in our journey toward acceptance and equality. War, racism, greed, and hate seem to have come back with a vengeance. Our people and politicians seem to have forgotten what has happened in the past. We ignore what has and what hasn’t worked and continue to live in a cycle of repeated failure. I wrote this as a way of saying, we must not forget what has happened and what we have done or we can never escape this cycle. Me: What is the number one reason why you think people should pledge money to your Kickstarter project? Thusat: Nook is a great story with beautiful artwork. It’s going to be a gorgeous book that tells a tale with meaning and purpose. I hope it’s a story that stays with readers and pulls them back from time to time. 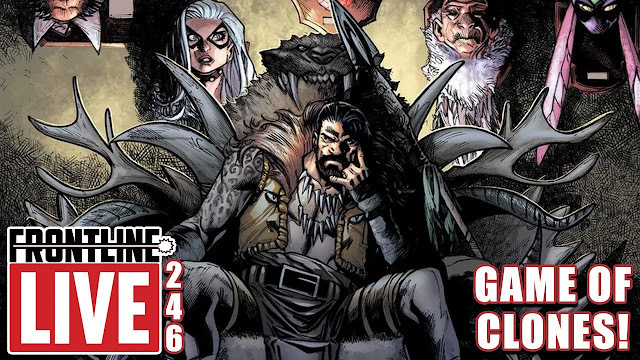 It’s also a great deal for a Hardcover Trade. It’s just $20 with free domestic shipping. You won’t be able to get it that cheap after the campaign. Thusat: You are the only one holding yourself back. Turn the TV off. Stop playing video games. Put your fingers on the keyboard and write. There is no excuse you can give for not creating. If you want it bad enough, nothing can stop you. And remember, success takes time. Anyone can give up, and not everyone will keep going. Me: Thank you for sharing your inspirational words and nightmares with us, Caleb! 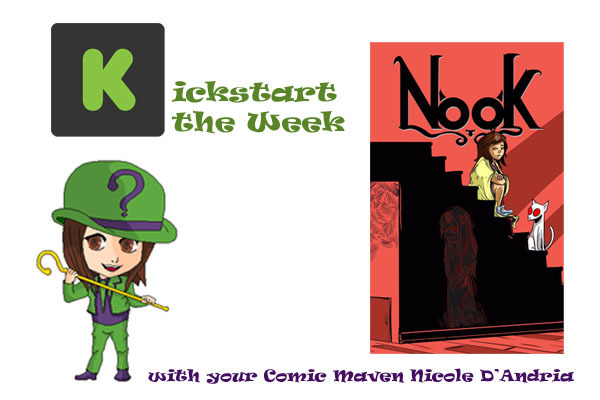 If you’re interested in checking out the Nook Kickstarter, click here.